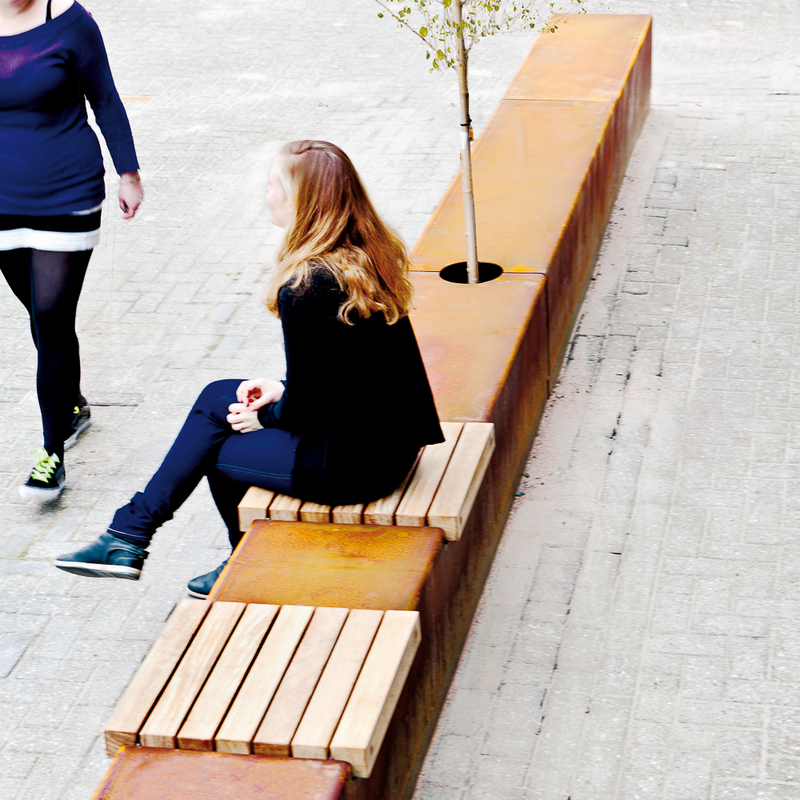 With the Solid Seat Strips, it is possible to install a long CorTen strip 47 cm - 19” in height into the ground surface. 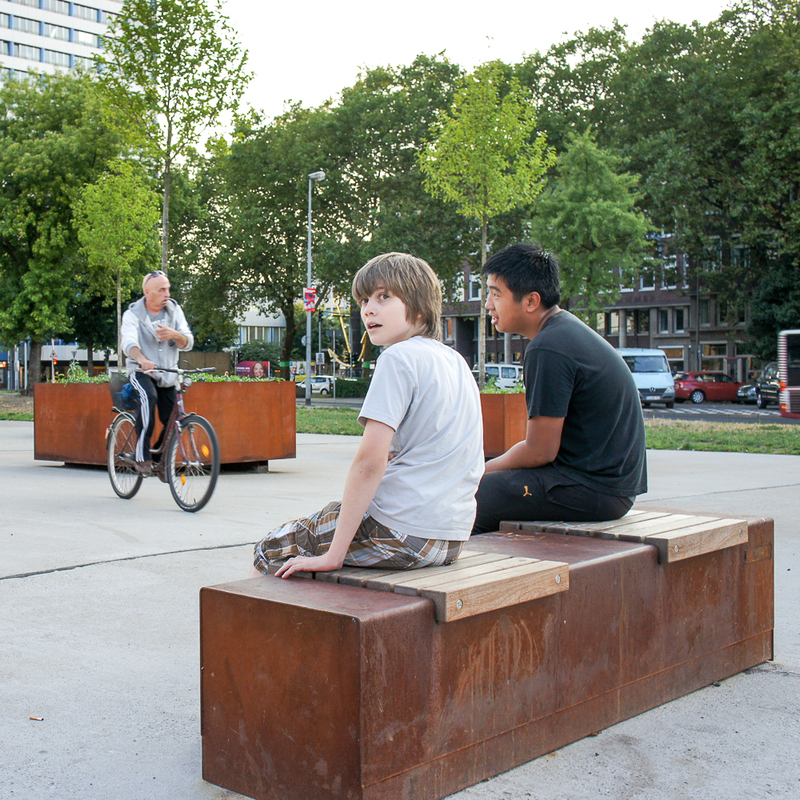 Several functions, such as bench, waste bin, bicycle parking and greenery, can be incorporated in a single strip-shaped element. 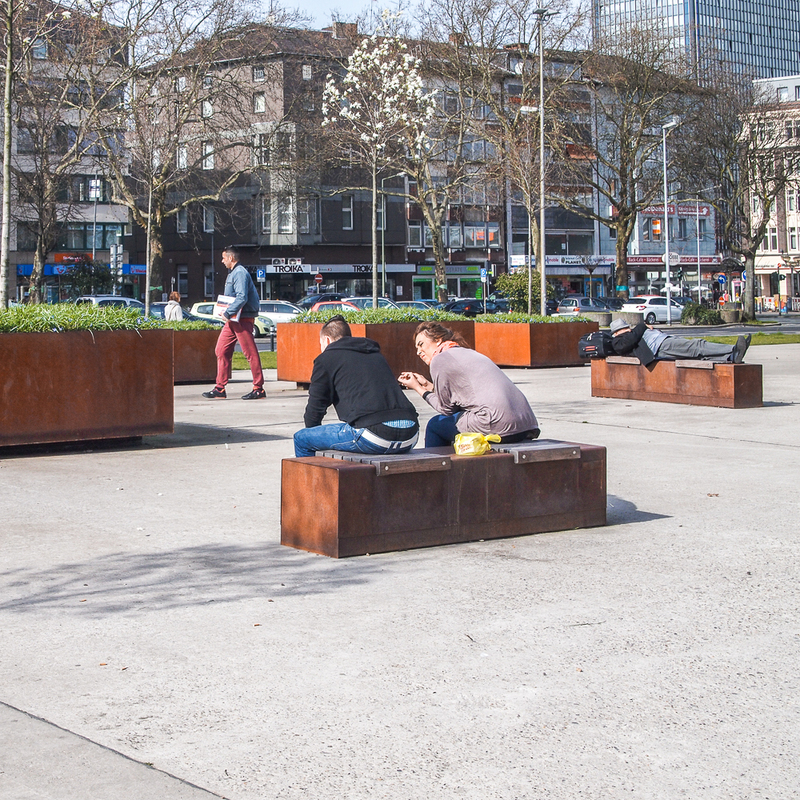 By reducing traditional, separate street furniture to a single, long line, one can create a streamlined and impressive urban landscape while reducing maintenance. The bicycle parking model has a length of 300 cm - 118” and incorporates 6 recesses to take the front wheels of 6 bikes. 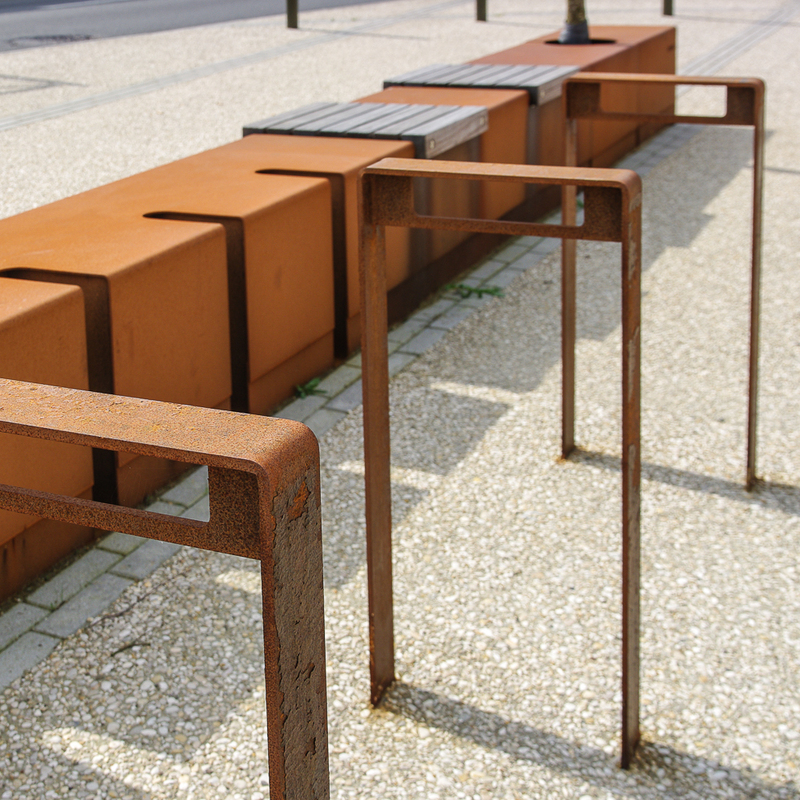 3 CorTen bike rests are fitted separately to support bikes on both sides and enable them to be secured with a chain. The cross-section of the part above-ground is 47x47 cm - 19”x19”. We recommend an underground depth of approx. 20 cm - 8”. Available in standard lengths ca.150, 200 or 300 cm | 59",79" or 118"